The aircraft is a tandem two seat, pusher prop airplane with a twin boom empennage. The back seat is raised considerably and with the large canopy both crewmembers should have excellent visibility. It is powered by a 950hp Pratt & Whitney PT6a-66 turboprop engine. It has a maximum speed of 272kts, more than 1100 nm range and more than 7,5h of endurance. There is also the option of installing Martin Baker Mk16 ejection seats. AHRLAC is portrayed in these rough first pictures carrying weapons and a sensor turret but it is also suitable for civilian missions. As a weapon it can be used mostly over areas were air dominance is a given, it isn't a replacement for a fighter jet. It doesn’t have the speed, stealth or advanced protection systems for missions over hostile territory, especially with a person (and potential hostage) on board. The company makes some quite bold claims about the economic impact of the project. They estimate that the market potential could add up to half a billion dollars and that it will create jobs, economic growth, exports and collaboration with foreign companies. 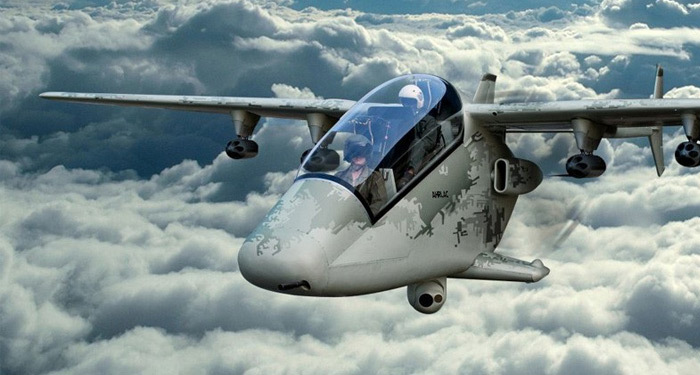 The AHRLAC will definitely be very affordable; it should be cheaper than converted civilian aircrafts like the Cessna AC-208 or the Beechcraft C-12. It should also be cheaper than a small helicopter. As the press release states its competition is mostly similar sized UAVs. Having a pilot onboard is a much simpler solution for an aircraft of this size. There are some obvious disadvantages; the cockpit takes a lot of space, endurance and range are limited while there are political and mission considerations when a manned aircraft operates over dubious territory. A UAV overcome most of these obstacles but it is a much more complicated project both technologically and operationally. A similar in principle concept is the new Firebird optionally piloted vehicle by Northrop / Scaled but it is considerably more advanced technologically, much more capable and in contrast to AHRLAC it could be configured as a UAV. According to the company said construction of a first prototype has already reached an advanced stage, with wind-tunnel testing completed. Also a one quarter racio controlled model have already conducted around 80 detailed test flights. Aerosud (a major partner of the program and a well established aircraft company) plans a first flight of the prototype AHRLAC some time next year. 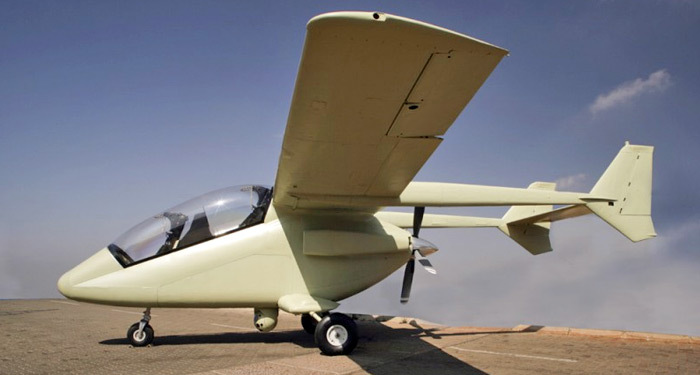 The press release states: “First time in Africa’s history that the continent has independently designed and manufactured its own aircraft”. While this may be open to interpretation South Africa as a state and Africa as a continent are not newcomers to aviation or aircraft design and manufacture. 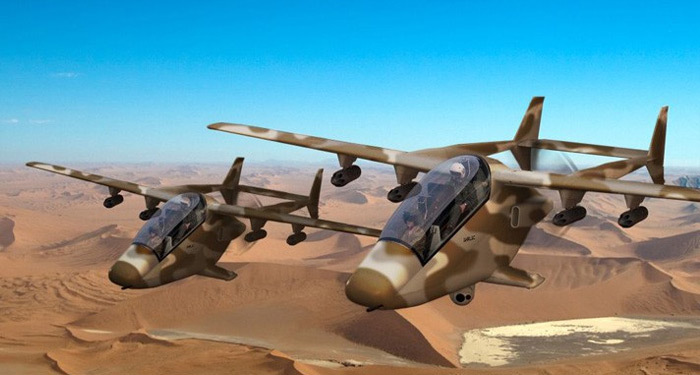 Another South African company, Denel produce helicopters. The indigenous AH-2 Rooivalk may use the running gear of Aerospatiale SA330 but it is designed in house. There is another example of an almost completely African aircraft, the Helwan HA-300 jet fighter (pictured above) from the 60’s. Designed by the famous Willy Messerscmitt it was developed, designed and manufactured in Egypt. Its engine (installed in the third prototype), the Bradner E-300 was also developed in Egypt but again supervised by a foreigner, the Austrian engineer Ferdinand Bradner. Even under the supervision of those non-African engineers and with part of the funding provided by India the HA-300 was an Egyptian project by all means. Only 3 prototypes were made.